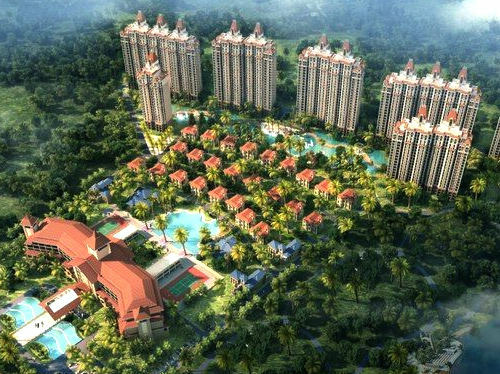 Listed as one of Hainan’s key projects during the 12th Five Year period, construction of the Taiwan Scenery Town is advancing smoothly and the first phase of the project has received an investment of 120 million yuan. Taking up an area of 190,000 square meters, the first phase project covers the 300-hectare Fushan Cultural Park, super star Alishan Hotel Inn and Alishan Village. The cultural park features a Confucius square, garden park, bird park and plant garden.